Working in the beauty business I get a lot of feedback about other beauty salons in Norwich, and I always hear the same complaints. The complaints I hear most often are “I was never given any aftercare advice” or, “the aftercare wasn’t explained clearly enough”. 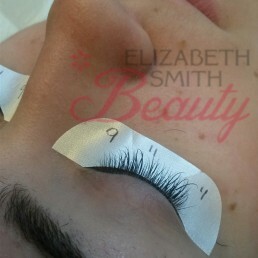 Some ladies didn’t even realise their eyelash extensions needed infills or cleaning. My aim is to be very clear, so there are no surprises and people actually gain some knowledge themselves. I have personally written up my own after-care forms for each treatment, which the client is given at their appointment. Feedback to me is very important, I thrive on this to continually improve the service I offer. The common one I hear is that no one ever gives aftercare advice on eyelash extensions. It amazes me how little people are told about caring for them at home. It’s extremely important after application of eyelash extensions for them to be kept clean. They need brushing daily and washed with oil free make-up remover. Don’t be frightened to get them wet in the shower after the first 24 hours of glue hardening. Blepharitis is quite common. Have a read up on the NHS choices website. All of my regular eyelash extension clients are extremely good at caring for their lashes and on average have in-fills every three weeks for more lashes to be applied and tided up. I’m also surprised by how many nail technicians apply acrylic / gel nail extensions or gel polish without explaining how to remove and care for them. I personally believe it’s very irresponsible to apply something to someone’s nails without clearly explaining everything. I give my clients two options of removing them, they can came back and see me for a small fee or follow my detailed instructions on how to remove them at home and save some money. There are several you tube clips of removing gels. I plan to make my own you tube video later this year.